Undetectable in lab tests and x-rays, fibromyalgia does not lend itself to concrete diagnoses, but the physical symptoms such as a constant dull ache in the muscles, heightened pain and sensitivity to touch, nerve pain and tingling sensations are very palpable to the sufferer. An estimated 8% of the American population is afflicted by this disease of the nervous system, most of whom are women. The myth that fibromyalgia is “just a disease that doctors make up when they can’t figure out your diagnosis” is rooted in the fact that it cannot be supported by lab test results, but in 1990, the American College of Rheumatology came up with guidelines on identifying fibromyalgia based on patients’ reports. If you or a loved one is suffering from fibromyalgia, count on A-1 Home Care in Malibu to help you in your time of need. Are you caring for a spouse who has fibromyalgia? Living with an elderly loved one with this health condition can take a toll on your relationship, especially as the disease worsens over time and she loses the ability to work and do basic things for herself. Her depression, pain, and impaired cognitive function may make your life difficult but an attentive caregiver from A-1 Home Care in Malibu will know exactly what to do so you can rest. In-home care entails cooking, cleaning, transportation to medical appointments and more. Even respite care will teach you how to be more in tune with your loved one’s needs. There’s nothing like having a personal assistant around with years of experience. 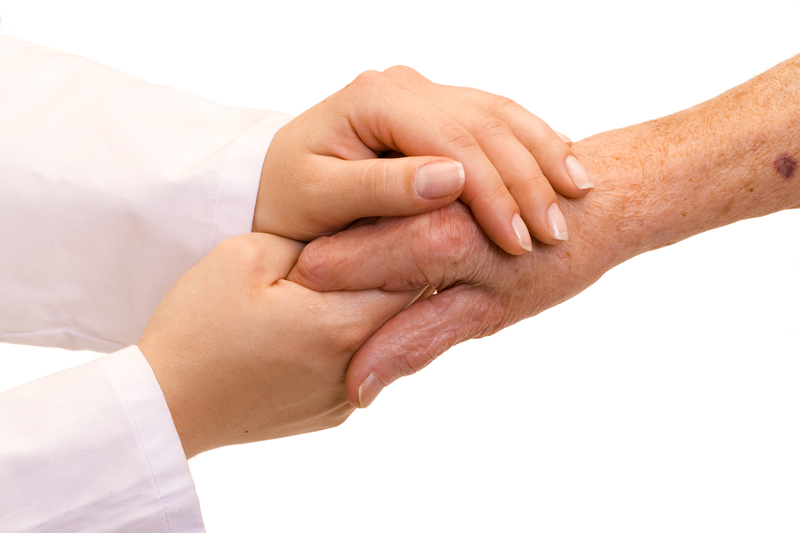 A-1 Home Care is a licensed, bonded and insured agency that was established in 1991. For a quarter of a century, A-1 Home Care has been providing services all over Los Angeles County, including cities like Malibu, Agoura Hills, Santa Monica, Beverly Hills, Culver City, and Century City. Our highly skilled caregivers have won the hearts of families all over Southern California. We take great pride in our caregivers, certified nurse assistants, certified home health aides, and hospice care workers because they have an uncanny ability to connect with the elderly. For quality elder care, call A-1 Home Care today (310) 657-8780 or visit www.malibuinhomecare.com for more details. It’s no secret that the elderly get lonely around the holidays, especially if their family members are either geographically distant or are no longer around. For kind, unsuspecting seniors like Donald Hodgins, an 84-year-old widower, the holidays can be excruciatingly gruesome when predators seek out vulnerable older adults in the least expected places. Hodgins met his senior predator, a 24-year-old waitress, at a restaurant where they began an ongoing rapport. The young lady eventually took advantage of Hodgins’ kindness and scammed over $100,000 out of him. If you need a trustworthy caregiver for an elderly loved one, don’t hire an in-home caregiver without doing an extensive criminal background check. A-1 Home Care in Malibu is a licensed, bonded and insured home care agency that conducts thorough background checks, including verifying professional references and DMV records. Inviting a complete stranger into your home and having her perform menial tasks in your personal space require trust. But trust takes time, and those who need live-in or live-out caregivers don’t have a lot of time to build trust with potential caregivers who might be able to look after your elderly loved one in some distant future. This is why numerous families turn to A-1 Home Care in Malibu, a reputable company that’s been around for 24 years and is still going strong, thanks to its reliable and seasoned caregivers. Sometimes the need for in-home care is immediate due to the unforeseen event of your loved one falling. Other times you see it in the near future, when you notice that your parent is unusually forgetful lately. A-1 Home Care does all the hard work for you so you can be reassured about the competence and character of your caregiver. Let’s face it: A-1 Home Care offers the most competitive in-home care rates in Malibu and all of Los Angeles County! You or your loved ones can enjoy senior care in the comfort of your own home 24 hours a day, seven days a week, without having to worry about the motives of your companion care aide. Customer satisfaction is 100% guaranteed! With a huge pool of caregivers to choose from, you have the freedom of ease to change caregivers if they don’t perform to your standards. A-1 Home Care has an exceptional standard that all caregivers have to meet, but we understand that things change and personalities may clash over time; we work with you and for you to ensure your happiness. Easy financing options are available, and A-1 Home Care accepts Veteran Benefits and long-term care insurance. For senior care you can trust, call A-1 Home Care today (310) 657-8780 or visit our website www.malibuinhomecare.com for services in Malibu, Santa Monica, Beverly Hills, Hollywood, Agoura Hills, Culver City, Manhattan Beach, and other cities throughout Los Angeles County. Follow us on Twitter or “like” us on Facebook! The more your loved one keeps trying to deny it, the harder it becomes for him/her to face it: it’s time for personal care in the comfort of the home. At A-1 Home Care in Malibu, our caregivers come out to the comfort of the home with a pair of helping hands and a golden heart to serve each and every senior we have the pleasure of working with. Our personal care options include relaxing and comforting assistance in activities like toileting, bathing, grooming, dressing, and even wake-up and tuck-in services. We are never too intrusive, and provide affordable care that won’t break the bank in the process. A doctor holding/ shaking an old womans hand. A-1 Home Care has helped to improve the quality of life for struggling elders for 20-plus years and counting, serving as a continual testament to why A-1 Home Care is the caregiving agency of choice in Southern California. We even offer heart attack care, brain injury care, and companion services so that no senior is left behind on the journey toward better home health. If you want to know more about the home care solutions available right here in Malibu, then call a helpful caregiver today by dialing (310) 657-8780 or (562) 929-8400. A-1 Home Care serves seniors of every walk of life throughout LA, including in cities like Calabasas, Santa Monica, Los Angeles, Hollywood, and Marina Del Rey.